Online course designers often focus on tasks such as framing good learning objectives, incorporating the right interactivities, and creating assessments. While these are important, they also need to provide their learners material for further learning to ensure effective adaptation of knowledge. And, most online learning materials are presented in the form of e-books. To create good, interactive eBooks for your learners, you need to focus on choosing the right tool. One of the most popular tools to develop eBooks is Kvisoft Flipbook Maker. 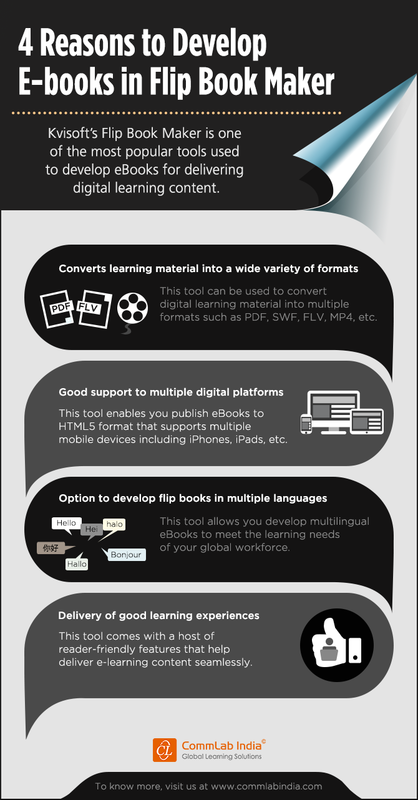 Here are 4 compelling reasons to develop eBooks in Kvisoft Flipbook Maker.